(d) If a number is divisible by 9 and 10 both, then it must be divisible by 90. 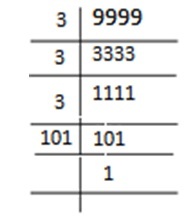 (e) If two numbers are co-primes, at least one of them must be prime. Solution: 1 and the composite number itself not included in the prime factorization of a composite number. The smallest five diigit number is 10000. 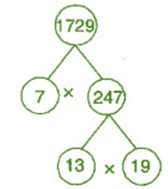 Prime factors of 1729 are 7 × 13 × 19. 7. The product of three consecutive numbers is always divisible by 6. Verify this statement with the help of some examples. Solution: Among the three consecutive numbers, there must be one even number and one multiple of 3. Thus, the product must be multiple of 6. 8. The sum of two consecutive odd numbers is divisible by 4. Verify this statement with the help of some examples. Solution: 3 + 5 = 8 and 8 is divisible by 4. 7 + 9 = 16 and 16 is divisible by 4. 9 + 11 = 20 and 20 is divisible by 4. 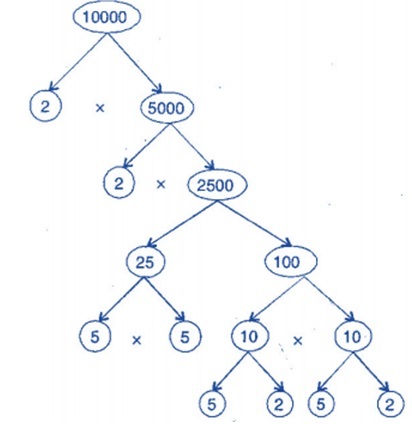 Solution: In expressions (b) and (c), prime factorization has been done. 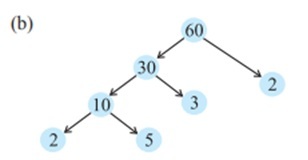 [Hint: 5 and 9 are co-prime numbers. 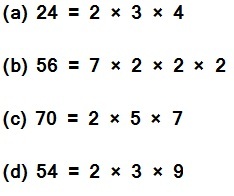 Test the divisibility of the number by 5 and 9]. Solution: The prime factorization of 45 = 5 × 9 25110 is divisible by 5 as ‘0’ is at its unit place. 25110 is divisible by 9 as sum of digits is divisible by 9. 11. 18 is divisible by both 2 and 3. It is also divisible by 2 × 3 = 6. Similarly, a number is divisible by both 4 and 6. Can we say that the number must also be divisible by 4 × 6 = 24? If not, give an example to justify your answer. Solution: No. Number 12 is divisible by both 6 and 4 but 12 is not divisible by 24. Solution: The smallest four prime numbers are 2, 3, 5 and 7.